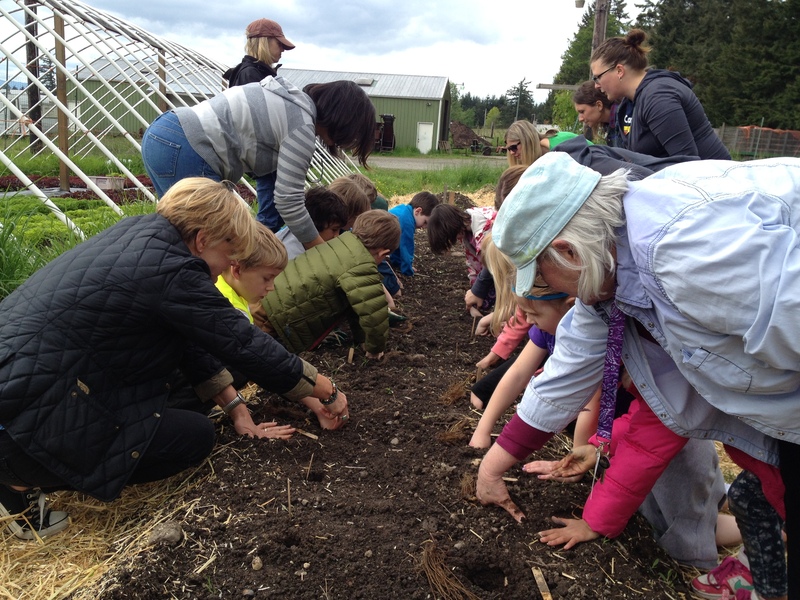 First-graders from Ordway came to Historic Suyematsu Farm & Bentryn Family Farm to help plant several strawberry varietals and learn how the history of the berries is intertwined with Bainbridge Island history. 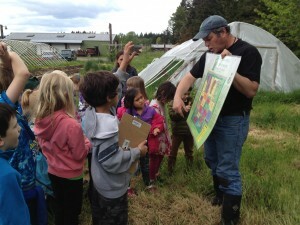 Ordway 1st grade students transplanting Rainier strawberries at Historic Suyematsu Farm, on land leased by Butler Green Farms. Ordway students and their teachers helped to plant the Marshalls, along with other berry varieties such as Shuksans, Rainiers, and the Marshall and Ever Bearing Mix. Part of the Heritage Project will include Island elders assisting in the cultivation and harvest of the Marshalls, which many helped their families grow on local farms prior to WWII. Showing students a map of where they had traveled that day on Suyematsu & Bentryn Family Farms. 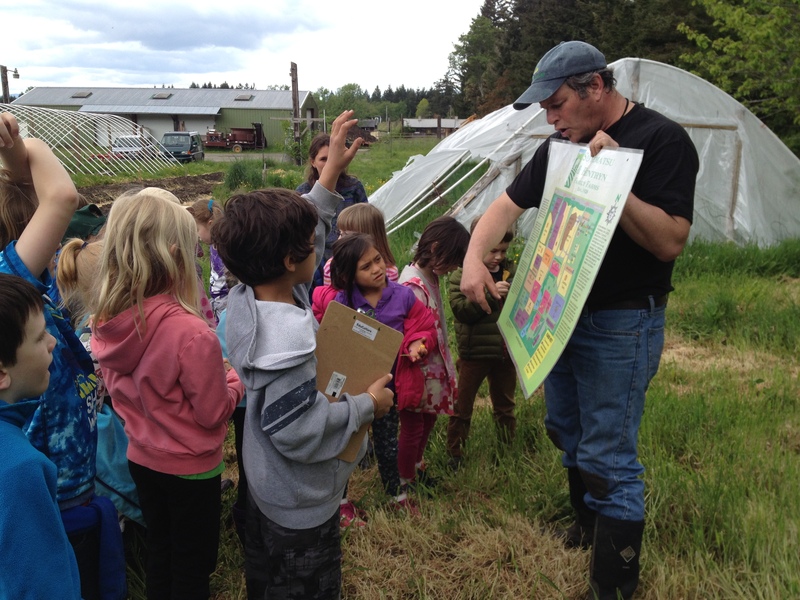 Ordway students also enjoyed a scavenger hunt that took them through several areas of Suyematsu farm and enticed them to find the clues that would reveal many interesting facts about the crops, wildlife, and soil. This entry was posted in Edible Education, Uncategorized by Cindy Vandersluis. Bookmark the permalink.